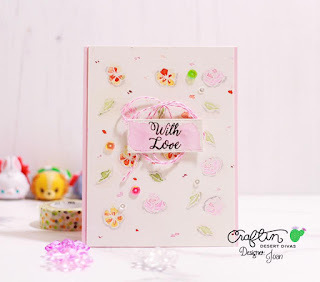 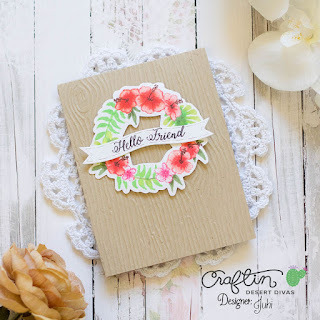 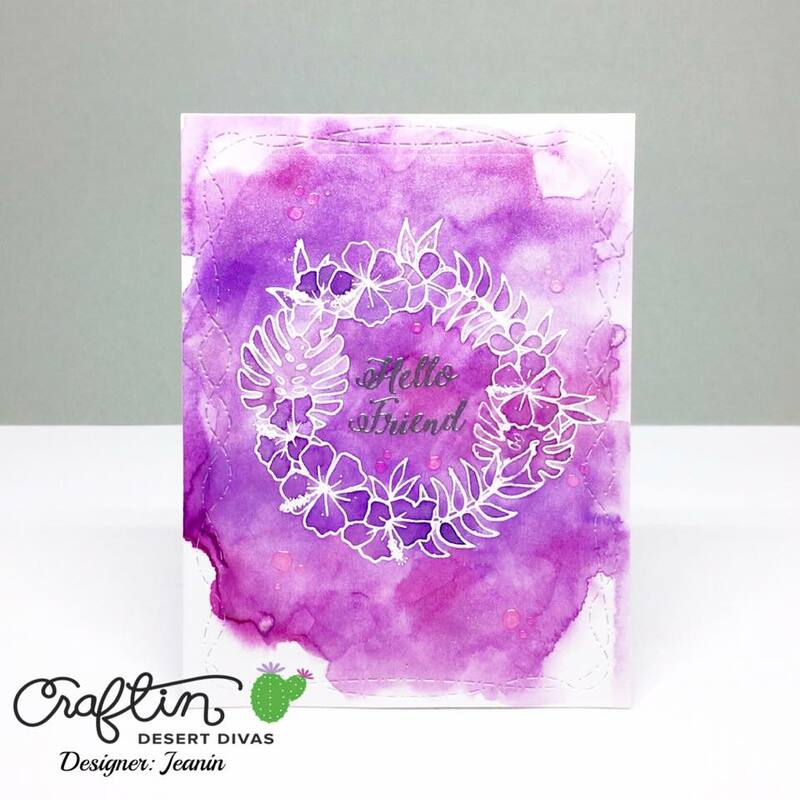 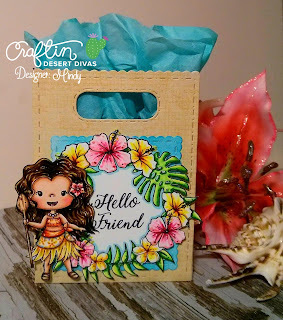 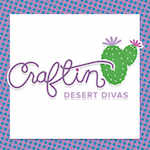 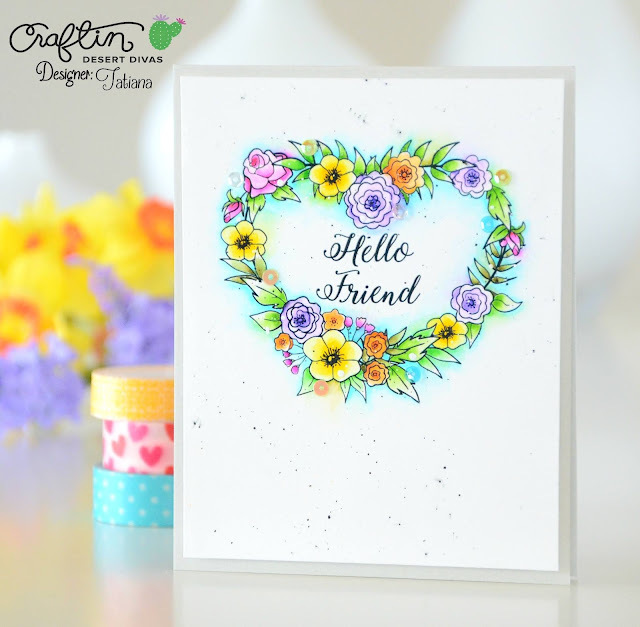 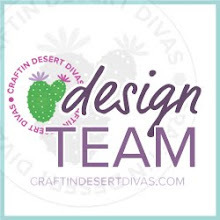 Tatiana here from Tatiana Craft And Art and I'm so excited to bring you my daily post over at Craftin Desert Divas! 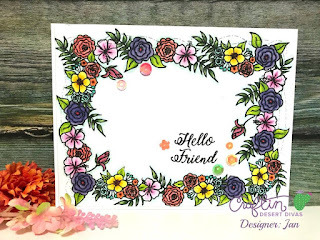 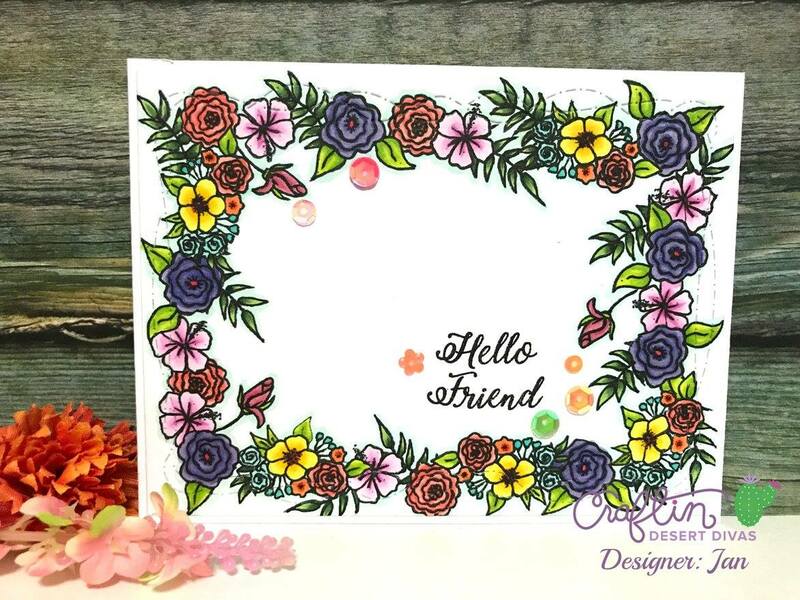 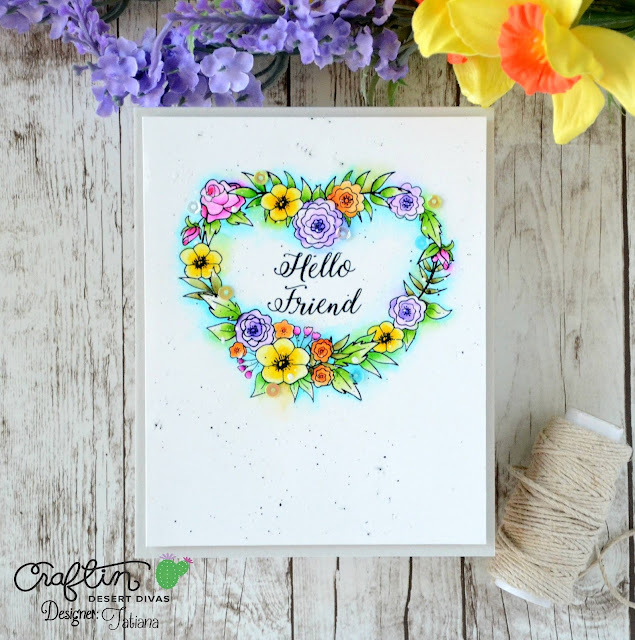 Today is a sneak peak day and I'm very happy to introduce you a brand new FLORAL WREATHS stamp set available on purchase on April, 20! This stamp set is so adorable and will allow you to create beautiful, elegant cards that can cover all the occasions! 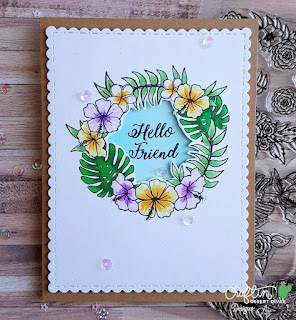 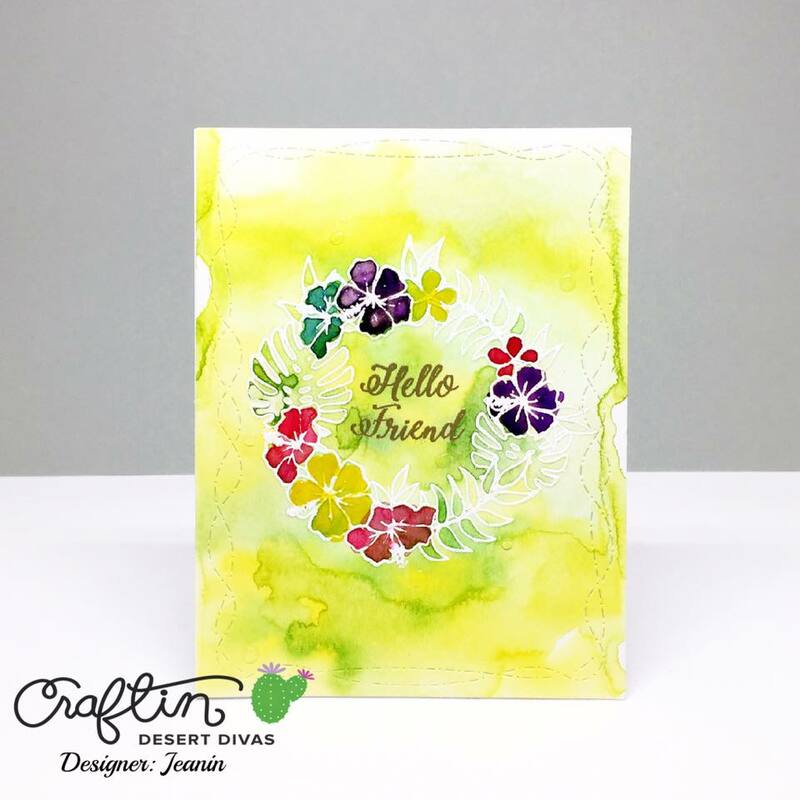 Plus it's so easy and fun to use because you have the flowers already arranged in wreaths or clusters and that means no masking and spending time trying to figure out how to put the flowers on your card are needed! Just grab the image you like, stamp it and you are ready to color! 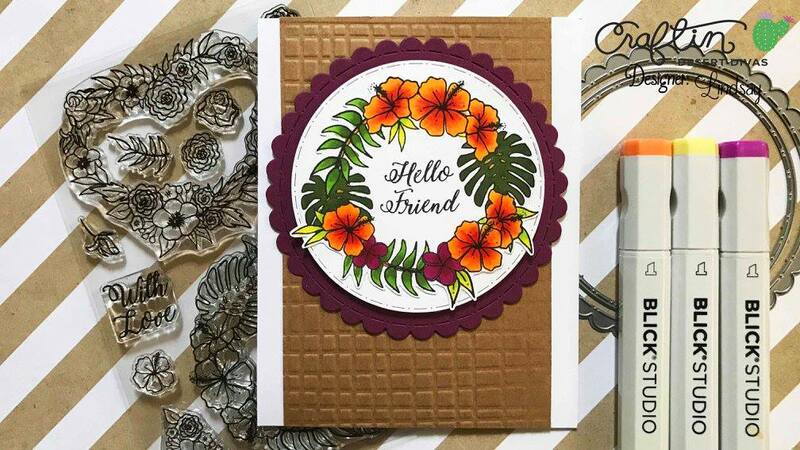 I always LOVE such versatile and clever products! 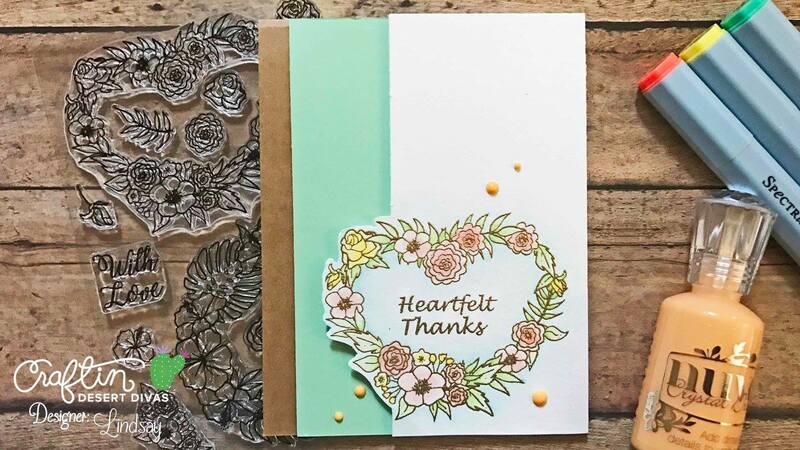 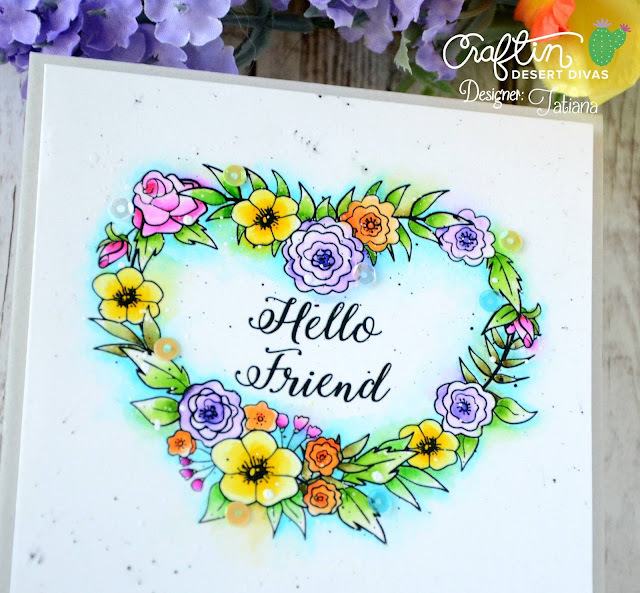 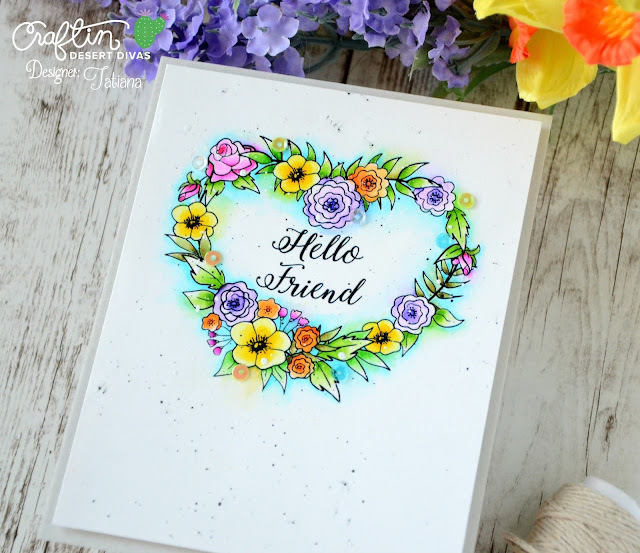 Since the flower stamps from FLORAL WREATHS stamp set are so amazing, I decided to keep my card very clean and simple and watercolor the awesome heart shape wreath! 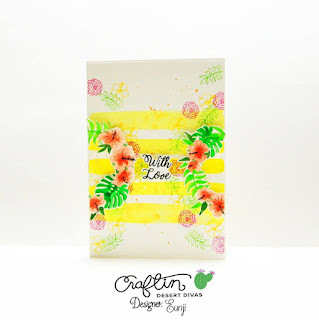 My choice were Zig Clean Color Real Brush markers because these flowers look so springy and so I wished to make something cheerful and bright. 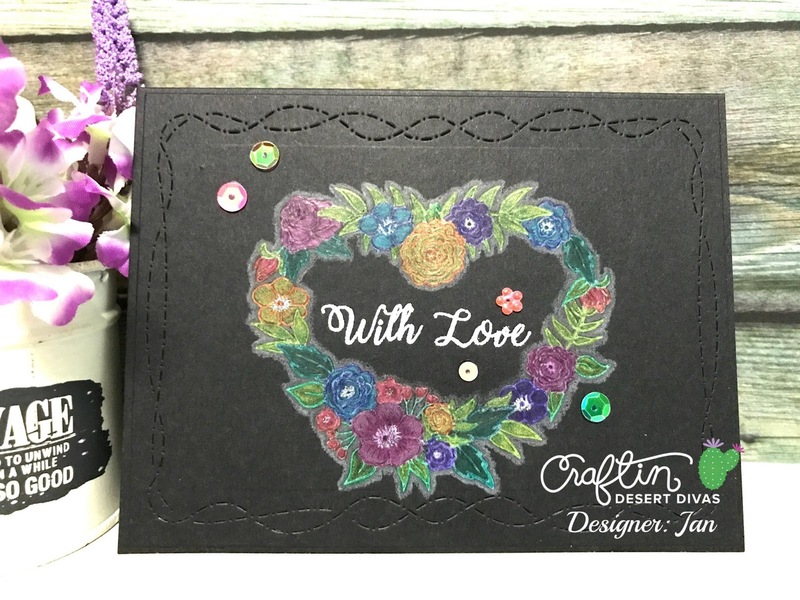 My winning combo to use with Zig markers are Bristol paper (I especially love Strathmore brand) and a water brush. 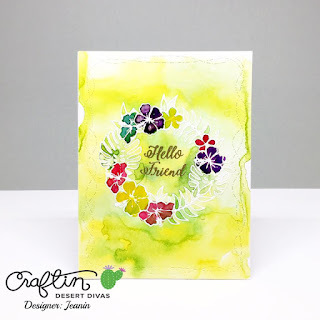 They allow to spread colors very easily and don't leave hash marks. I like to work in layers on my watercolor projects: first I usually put a light initial one and then start adding more colorful spots, shadows and highlights! 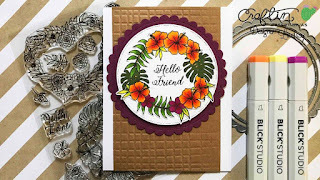 I play with the image unless I'm satisfied with the result and often come back working on some ares a few times! Of course, couldn't skip some little extra finish touches such as tiny black and white splotches and a few matching sequins!